I glance at these and have passed them up many times assuming they’re glosses. 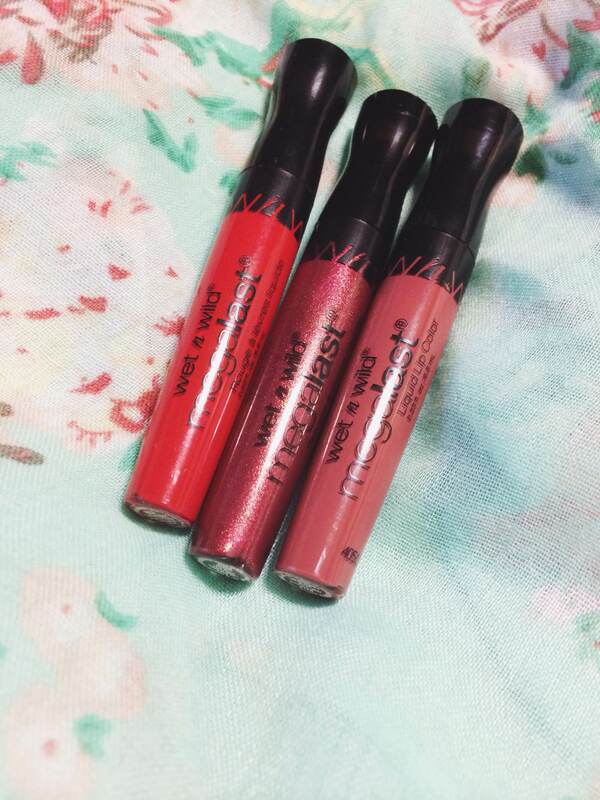 I’m not a gloss person. I wear it sometimes, but I prefer lipsticks because I hate sticky things on my face. However, I saw someone mention that these have a matte finish and I was instantly intrigued. So, while in Kmart a few nights ago picking up a few last minute presents (yes, I’m that parent, and no it wasn’t Christmas Eve) I decided to pick 2 more of these up since I already owned the red one. I actually forgot I owned the red one until I was looking for an affordable matte lipstick for my glittery holiday lip video. I think Jeremy (da boyfriend) got it for me because it was free at his store? Who knows. I own too many lip products to keep up with where I got them all. However, after seeing how matte the red one dried for myself I decided I wanted to try a few other colors. Anyway, these were $2.99 regular priced in my local store, so these are incredibly affordable. 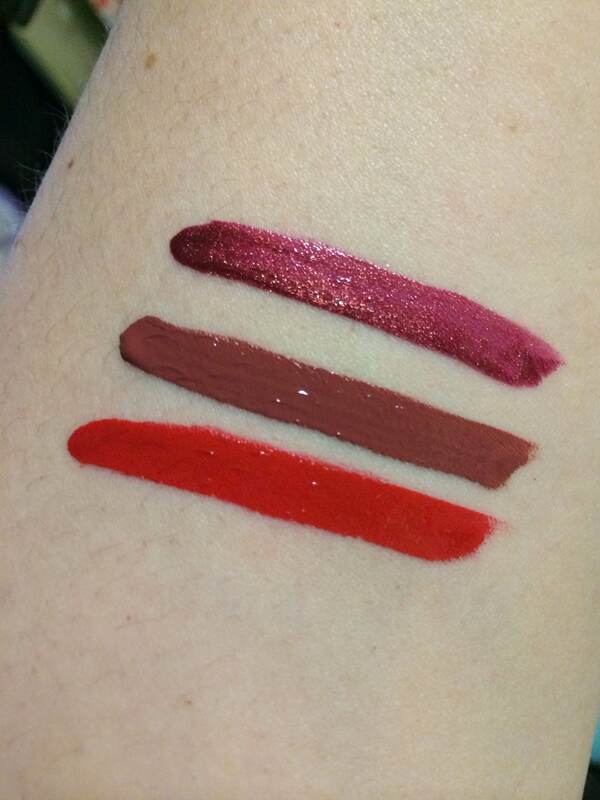 And wow, these are super pigmented and do indeed dry matte. The first time I swatched these on my hand it actually stained my hand. So, be aware of that if you decide to buy these. They will require some work to get off. Okay, who the hell came up these names? They made me cringe at the punny-ness and laugh at the same time. “Red My Mind” is a very true red bright red. “High Pitched Wine” is a bit more brown than it is wine colored. I love that about it though. It’s probably my favorite one color-wise. “Raisin the Roof” is a bit deeper, but has obvious gold colored shimmer in it. It’s a very different and pretty color, in my opinion. I will definitely say that these are worth trying, however, they can be a bit drying I’ve noticed. They are ultra matte, but kinda also ultra drying. I had to put on a few dabs of vaseline after applying “High Pitched Wine” because I felt like if I smiled my lips would crack. That’s really the only con I can think of regarding these lip colors though.